We love trash talk, especially when it’s about keeping plastic food packaging and serviceware out of our landfills and oceans by choosing products that are compostable and earth-friendly. And we walk the talk. With an ever-growing selection of products made from renewable, plant-based resources, we exist to help our customers in their efforts to offset the negative environmental impacts of petroleum-based plastics. We’re driven by the vision of a compostable waste stream becoming a reality in our lifetime. A carbon-neutral, closed loop product lifecycle beginning with agriculturally derived raw materials manufactured into disposable products, captured from the municipal waste stream, composted, and then returned to the soil as nutrients to grow more crops. 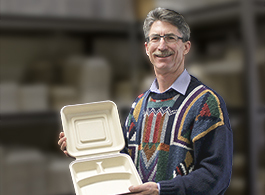 BioMass Packaging® was founded by Allen King and Steve Levine, who earned the mantle of “pioneers” in green foodservice packaging and supplies. For over 14 years the company has pushed the envelope to bring these products to market and create public awareness around sustainability. Today, BioMass Packaging® continues to grow and refine their list of Earth-friendly, compostable and nature-based products. But it’s not enough just to have the greenest products. 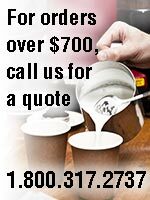 We also take great pride in how well we educate and serve our customers, stock every product, and ship virtually every order within 24 hours. We’re committed to making things better and saving our planet. That means working daily to help reduce the plastic trash that overflows our community landfills, clogs our nation’s streams, and floats forever in the oceans. We’ve never seen more opportunity and potential for sustainable growth than right here, right now. If you’d like to learn more, we’d love to talk trash with you!